and I realized that the token file was actually at "/web/monit/token" and after making that change to /etc/monit/monitrc monit started properly. Others may set their root web directory to be /web and will not experience this problem, but for those who don't this is a fix. I have munin and monit installed on my ISPConfi Servers and also Prelude/Prewikka - follwoing the HowTos on this site. 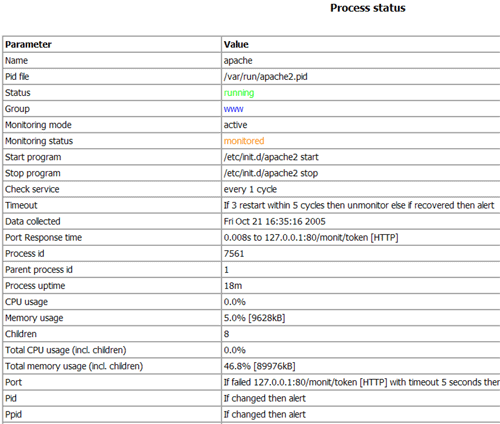 Now, Prewikka gives web access to Prelude, OSSEC and Snort, but Munin, ISPConfig and Monit are still separate websites. 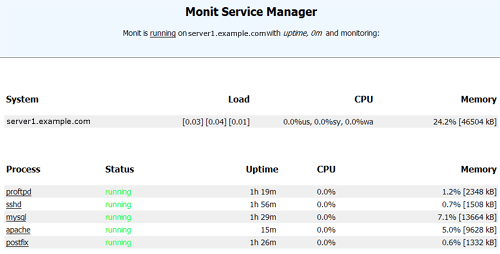 So I thought why not use the generated Munin Overview screen as a linkscreen to all the different programs for all my servers? The code in bold will generate the link to Monit and ISPConfig respective. The code in bold and italic will generate the link to prewikka/prelude, but assumes you created a subdomain (or a co-domain in ISPConfig) of the name prelude.yourdomain.com. The 'yourdomain.com' is replaced at runtime with the real name - in my case a .net domain actually - not .com. dont forget to run "monit -t" to verify monit.conf syntax.